The former head of an industry super fund has been named the new chief executive for MetLife in Australia and will commence in the role from May. Richard Nunn is currently the chief executive of South Australia-based Statewide Super, MetLife said in a statement. MetLife Australia chief financial officer Vince Watt will continue as acting chief executive until Mr Nunn commences in May. 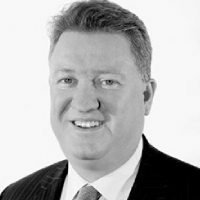 Mr Nunn brings more than over 30 years’ financial services experience across wealth management (including life insurance and retail advice) and banking in Australia and Asia more broadly. MetLife Australia chair Geoff Brunsdon said Mr Nunn’s deep financial services experience and proven ability to deliver growth make him a great fit for MetLife. “MetLife continues to gather momentum in Australia, recently expanding into the retail market and winning the multimillion dollar Tasplan tender,” Mr Brunsdon said.